These are the last days of preschool for my oldest. 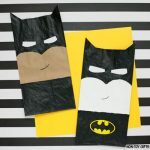 I would like to give his teachers little handmade gifts that can remind them of my son. 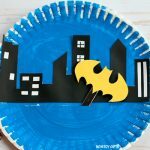 I also want for him to help me create these gifts. 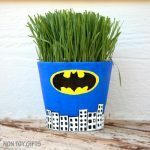 Because he loves coloring, we came up with the idea of personalized mugs that he can make himself with ceramic markers. 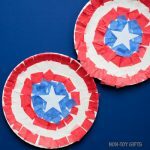 I will pair each mug with a superhero teacher card. 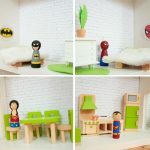 They are very easy to make and kids can take part in creating them. 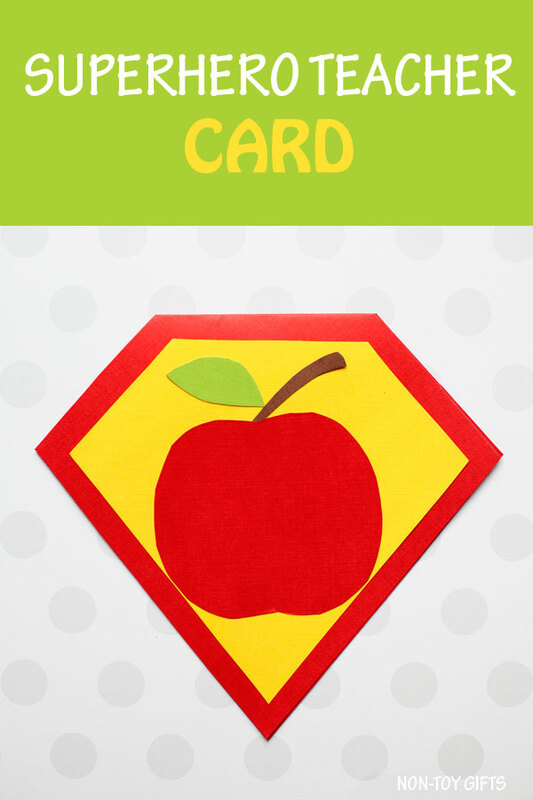 This superhero teacher card comes with a free template and printable instructions at the end of the post. Once first day of kindergarten gets closer we will move on to making school bus crafts. I know my kiddo will be super excited. 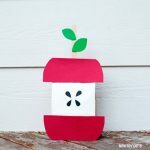 For more crafts for kids, check out our collection of 100+ easy crafts for kids. 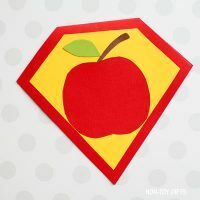 Step 1: Print out the Superhero Teacher template. Step 2: Fold a red cardstock paper in half and place the biggest superhero shape on the fold to cut out the card. Tip: fold the cardstock paper diagonally. Step 3: Cut the rest of the shapes and start gluing them on the card. 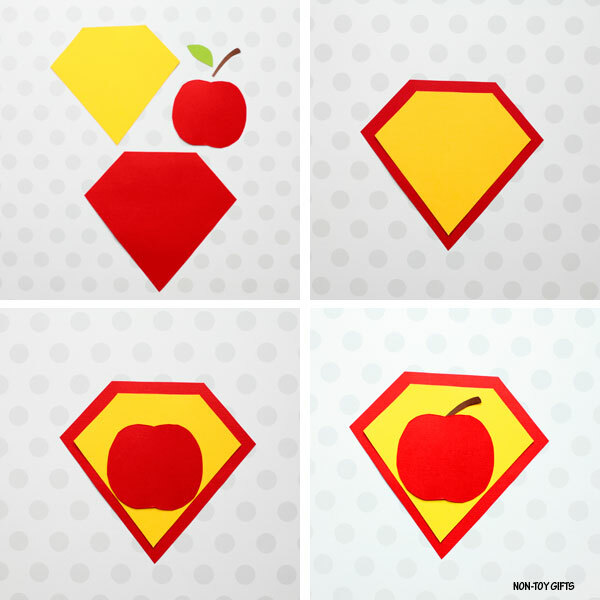 Start with the yellow superhero shape and then the apple on top. 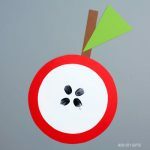 Slide the stem underneath the apple. 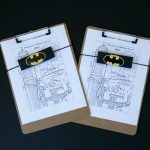 Step 4: Use a black marker or a pen to write a little message for your superhero teacher.